Cakes, Cuppies And Other Confections: Chocolate! Chocolate! Chocolate! This Cake was made to celebrate a Happy Birthday! Size: This cake was made in a 12 inch spring form pan. Flavour: This was a triple chocolate mousse cake! Dark chocolate on the bottom, milk chocolate in the middle and white chocolate on the top! 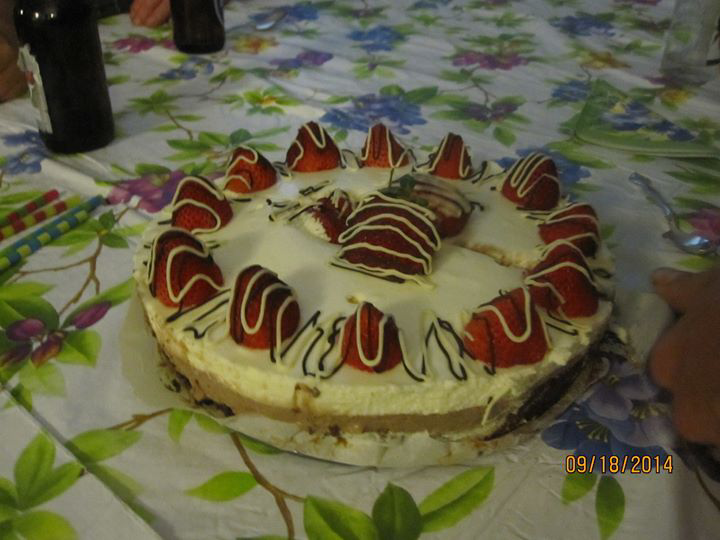 Decorations: This cake was decorated with fresh strawberries and drizzled with some dark and white chocolate.